WASHINGTON, DC, April 10, 2017 (ENS) – If hunters on Alaska’s National Wildlife Refuges want to use aircraft to chase down grizzly bears or shoot mother wolves and pups in their dens, they can now do so after President Donald Trump signed a bill overturning an Obama-era rule that banned inhumane methods of hunting predators in Alaska. The Obama-era U.S. 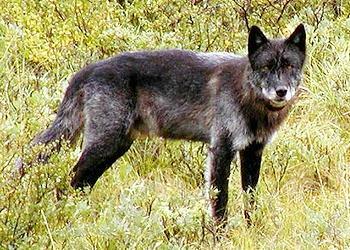 Fish and Wildlife Service rule banned “predator control” on national wildlife refuges in Alaska unless based on sound science, in response to a conservation concern or necessary to meet refuge purposes. 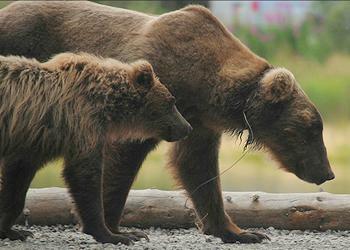 The rule stopped hunting methods on national wildlife refuges in Alaska that include shooting or trapping whole families of wolves while at their dens with pups, using airplanes to scout for brown and black bears to shoot, trapping bears with steel-jawed leghold traps and wire snares and luring grizzly bears with food to get a point blank kill. Obama’s rule did not change federal subsistence regulations or restrict taking of fish or wildlife under them, although Alaska officials framed the reversal of the Obama-era rule as a victory for subsistence hunters who rely on wildlife for food. “Alaskans have a unique relationship with our land, and these one-size-fits-all regulations would be a great burden to our residents,” said Walker. “Many rural communities do not have a Costco or Fred Meyer to shop at, so hunting and fishing are a basic means of survival. The rules put forward by the previous administration did not support that, and I am glad to see these corrections have been made,” he said. In 2016 the U.S. Fish and Wildlife Service adopted regulations that limited hunting on national wildlife refuges covering nearly 80 million acres in Alaska. Alleging that the regulations were contrary to state and federal law, the State of Alaska filed suit in January 2017 challenging them. Backers of the lawsuit and Trump’s reversal of the regulations claimed it was a state’s rights issue. “Upholding the rule of law and protecting Alaska’s authority to manage fish and game throughout our state is critically important to me, which is why I worked tirelessly to eliminate this unlawful rule from the Federal Register,” said sponsor of H.J. Res. 69 Congressman Don Young, a Republican who is Alaska’s only representative in the House. Republicans, who currently control both Congressional Houses supported the resolution. H.J. Res 69 passed the U.S. House of Representatives on February 16, the Senate passed it on March 21, and President Trump signed it on April 3. The National Rifle Association also supported the bill. “I was pleased to get a call from President Trump yesterday after he signed the disapproval resolution to overturn the rule restricting Alaska’s ability to manage wildlife on federal refuge lands,” said Alaska Senator Lisa Murkowski on April 4. “By signing it, the president has upheld states’ rights, protected Alaska’s hunting and fishing traditions, and put a swift end to the Fish and Wildlife Service’s wanton effort to take greater control of nearly 77 million acres of our state,” said Murkowski, a Republican. Conservation groups, including Alaskans for Wildlife, Alaska Wildlife Alliance, Friends of Alaska Wildlife Refuges, Lynn Canal Conservation, Northern Alaska Environmental Center, Oasis Earth, Resurrection Bay Conservation Alliance, Sierra Club – Alaska Chapter and the Southeast Alaska Conservation Council opposed H.J. Res. 69. ANILCA, the Alaska National Interest Lands Conservation Act, is a 1980 federal law signed by President Jimmy Carter that provides varying degrees of special protection to over 157,000,000 acres of land, including national parks, national wildlife refuges, national monuments, wild and scenic rivers, recreational areas, national forests, and conservation areas. 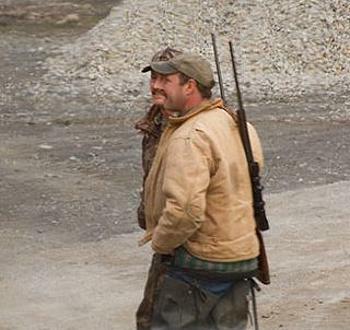 The legislation signed into law by Trump blocks any administration from ever issuing a similar rule on this topic, leaving the authority to regulate the hunting of predators on Alaska’s federal lands solely in the hands of Congress and state lawmakers.